The installation of wall cabinets is conventionally done by experts who have knowledge and skills on interior design. The availability of information on different platforms today has helped many homeowners to learn about the installation of wall cabinets without the help of professionals. Homeowners can now engage in DIY projects in their homes without worrying about damaging the materials. Installing glass display cabinets in the house may require dexterity so that there is minimized the risk of injury and material damage. Without being careful, it is difficult for a homeowner to make their home look modern. Also, it is recommended that if you are an individual who is interested in completing the DIY projects of installing wall cabinets, you should buy the right equipment from a reliable store. This will be useful to you as you will minimize the risk of injuring yourself and other people who may be actively involved in the installation process. If you are wondering how you can learn how to install wall cabinets in your kitchen, bathroom, living area, you will find this article helpful. Bathroom cabinets may either be hung on the wall or may be free standing. The choice of the homeowner is dependent on how they want their bathroom to look like. 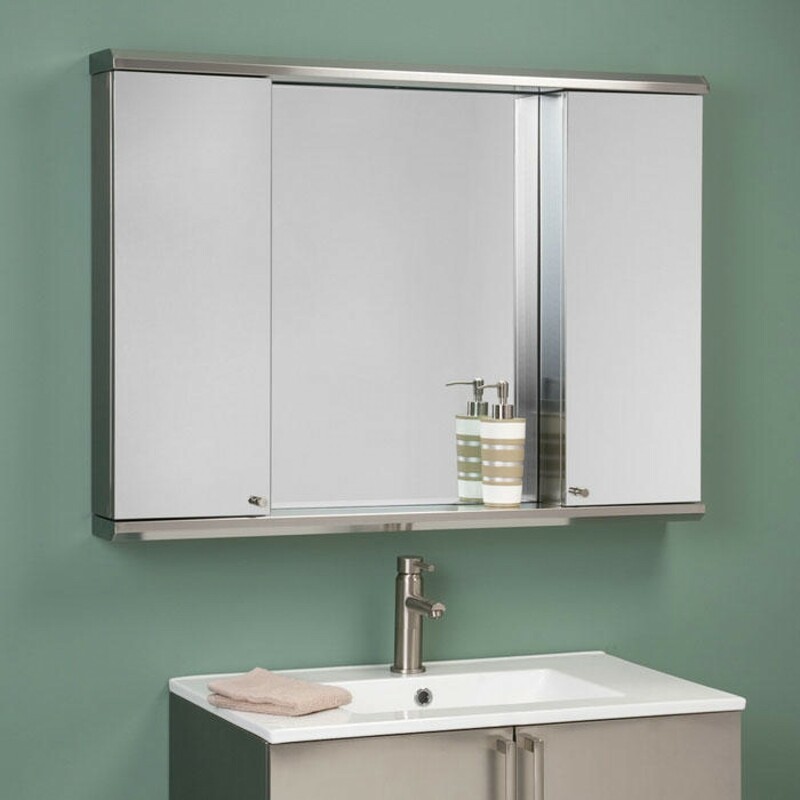 However, the most common type of bathroom cabinets that are installed is hung on walls just next to the vanities. If you are in need of learning how to install a bathroom cabinet, following the following steps will help you to do it professionally. Check the plumb of the wall where you want to hang the bathroom cabinet before marking the position you want to set it. Once you have confirmed that the wall is plumb and fit for the installation of the cabinet, you are required to mark the bottom position where the cabinet is to be fastened. At this point, you should hit a leader board on the wall where you have marked the bottom spot of the bathroom cabinet. When in the right position and steady, place the cabinet on the leader board and mark the stud positions. Remove the cabinet from the screw holes where you will fasten your cabinet. Mount the cabinet on the marked position and fasten it on the wall using the screws provided. You should ensure that you use the right tools to fasten the cabinet to the wall to avoid any accidents. Also before completing your work, you should adjust the cabinet either vertically or horizontally until its plumb. This way you eliminate any risk of the cabinet swinging freely which could be fatal for individuals around the bathroom. Also, check the doors of the cabinet to ensure they are functioning correctly. If you mounted the cabinet without the doors on, you should tightly fix them back but ensure they move freely when opened. Bathroom cabinets make the bathroom space look flashy and elegant. Modern homeowners invest a lot of money to ensure they get cabinets that are made from quality materials. However, accidents are prone to occur which could result in damage of the cabinet mirror glass. Buying a replacement mirror glass for bathroom cabinet requires you to know its exact dimensions. If you are in need of getting a new replacement mirror glass for the bathroom cabinet, you need to first take the precise measurements of the cabinet door frame. Additionally, identifying the type of mirror glass to be fitted is essential so that you may get the exact replacement. When replacing the mirror glass, ensure that the door is detached from the cabinet. Fix the mirror while the door is on flat ground. Fasten the mirror glass into place and ensure it is steady. When you have confirmed this, mount the door back on the cabinet and check for its stability. Most homeowners look for tips on how to hag a bathroom cabinet on dry walls so that they can engage in DIY projects in their homes or office. To hang a cabinet on drywall, mounting rails and 1.5-inch screws are required. After confirming that the wall is plumb and marking the position to hang the cabinet, drill holes in the wall to mount the rails. In most cases, the hanging rails are put on the inside of the cabinet to support its weight. The mounting rails are put on the top part of the inside of the cabinet which provides support for its entire weight. Once the mounting rails are in position, lift the cabinet and screw it tightly on them. The 1.5 inch screws should be long enough to penetrate the rails and through the wall. The screws must be strong to avoid any instances of the cabinet falling from the wall. After mounting the cabinet on the drywall, one is required to check whether it is steady by confirming its plumpness against the wall. Hanging cabinets on plaster walls can be challenging because the plaster wall might not be strong enough to hold the weight of the cabinet. However, there is a simple process that can be followed to ensure that you safely mount your cabinet on a plaster wall. If you are not comfortable installing them by yourself, you should contact experts from fab glass and mirror to help you. First, you need to find the studs on your plaster wall using a stud finder. However, sometimes, the stud finder may not work correctly. After finding the studs, mark them appropriately so that you can easily identify them. Make holes at the back of the cabinet depending on the spacing of the studs that you located. With the cabinet mounted on the position of the stud and the drilled holes in position, you should screw it tightly onto the studs. The cabinet should be held upright while being screwed into the suds so that it remains steady at all times. Also, washers should be included with the screws when fastening the cabinet onto the plaster wall.